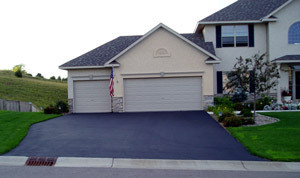 Asphalt or blacktop driveways are often the pavement one ends up with in a new home. They are typically the least expensive paved surface a builder can install. Just because they cost less money by no means are they inferior. In fact, a blacktop drive that is installed with great care can last for 30 or more years with little effort. If you have ever watched a dropped glass shatter on an older blacktop surface you would probably testify that it was as hard as rock. In many respects you would be correct since the blacktop is a matrix of small rock chips, sand and asphalt cement. Many worn asphalt surfaces are anything but black. They almost always look a lighter shade of gray. The stone chips in the mix create this color. Look closely and you will see small amounts of black in between the stone chips and sand particles. This black is the actual asphalt that cements all of the stone chips and sand together. But the real truth of the matter is that asphalt, even older asphalt surfaces, are flexible. Newer asphalt is far more flexible than an older surface because the asphalt still retains many of the lighter hydrocarbon oils that allow the asphalt cement to liquify at oven temperatures where you would normally bake a cake. Put a piece of concrete in your oven at this same temperature and you will get a hot rock, not a puddle of smoking goo on the bottom of the oven. Knowing this, the secret to getting a long-lasting asphalt driveway at your new house that can withstand even heavy truck traffic is the hidden gravel base beneath the smooth ebony surface you and I see as a finished product. The standard gravel base beneath an asphalt driveway serves as the foundation for the pavement. If you install 8 or 10 inches of crushed well-compacted gravel on solid soil, the blacktop finish has a great start at a service life of 30 or more years. If you don’t believe me, come to Cincinnati and I will show you several 30 and even 40 year-old driveways that are still in good shape. Many asphalt paving contractors use crushed gravel because it is the least expensive foundation material. 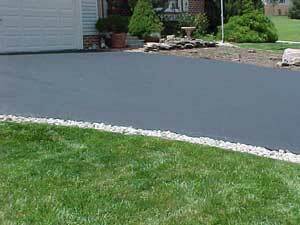 If you want the best underlayment for the blacktop you can have your builder install a deep-base asphalt driveway. This system uses a thick layer of asphalt with larger stones as the base layer. This system is so strong it has been used to build the roadbed under railroad tracks. Wet soil and weak soil that breaks down in the presence of water can foul the gravel base beneath blacktop surfaces. When this happens, the gravel loses much of its internal strength. Geo-textile fabrics can be laid on top of the soil before gravel is placed. This fabric stops the movement of soil particles into the gravel. The textiles are durable and roll out onto the soil as you might unroll a throw rug. If you want your new blacktop driveway to look good for many years you need to make sure the gravel or deep-based asphalt base is one foot wider than the actual finished blacktop surface. All too often the asphalt contractors install the finished blacktop to the edge of the gravel. When visitors drive over the edge of the drive into the grass, they crack off one or two inches of blacktop because it has no support immediately at the edge. The extra six inches of gravel hidden beneath the grass provide this much-needed support. Resist the temptation to seal your new asphalt driveway. Even under ideal curing conditions where the daytime temperatures are high and nighttime temperatures are balmy, asphalt needs a minimum of 90 days to fully cure and harden. Remember, this is the minimum amount of time. 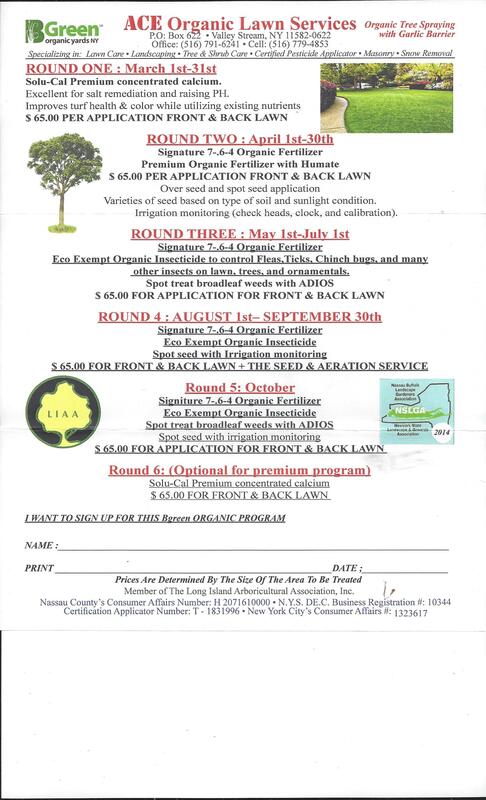 It is best to let your asphalt driveway cure for 6 or 9 months before you think of sealing it. When you do seal the driveway, use a high-quality coal-tar based sealer. These typically should be applied every 3 to 5 years. The driveway should be sealed when either the original black asphalt has worn off the stones or the subsequent coat of sealer has worn off revealing the actual pieces of stone aggregate. THINGS TO KNOW: Asphalt has various sizes of stone and sand that will create varied textured surface. It is natural for areas that have been raked and manually applied to appear slightly rougher than those done by a machine. This should not be a concern. Expansion and contraction of the ground will naturally cause random cracking of pavement. Therefore, cracks should be sealed promptly to prevent water from penetrating the asphalt and causing further deterioration.